In an editorial in party mouthpiece Saamana, the Shiv Sena praised the manifesto for encapsulating the feelings of the nation and for including their demands. 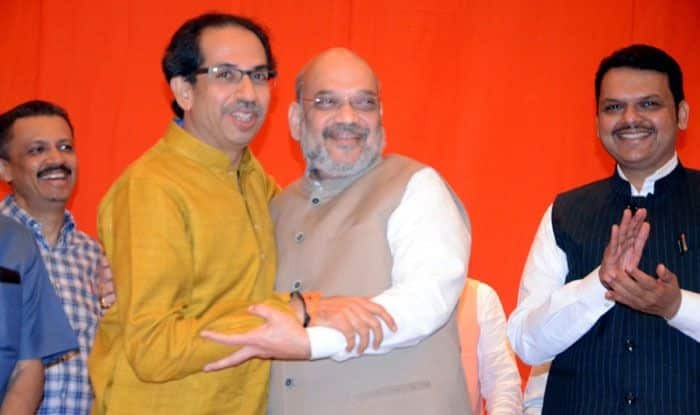 The Shiv Sena on Wednesday hailed the BJP’s manifesto and gave it “200 out of 100” marks for promising to scrap Article 370 of the Constitution, providing special status to Jammu and Kashmir, and construction of Ram temple in Ayodhya. The Sena, an ally of the BJP at the Centre and in Maharashtra, said the country’s integrity cannot be compromised and that 2019 is the last chance to construct the Ram temple. “The BJP’s ‘sankalp patra’ is one that encapsulates the feelings of the nation. Even the Shiv Sena’s demands have been included in it. We, therefore, give the manifesto 200 out of 100 marks,” the Sena said in an editorial in party mouthpiece ‘Saamana’. The Uddhav Thackeray-led party said it agrees with Prime Minister Narendra Modi’s emotional appeal, made at a rally in Maharashtra’s Latur district on Tuesday, that people should vote for the BJP as a respect towards the brave-hearts who attacked Pakistan. It also lauded the BJP’s manifesto for giving importance to issues like agriculture, poverty, small traders and education. Pitching nationalism as its inspiration, the BJP’s manifesto for the high-stakes Lok Sabha polls promised NRC in different parts of the country to push out infiltrators and zero tolerance to terror.